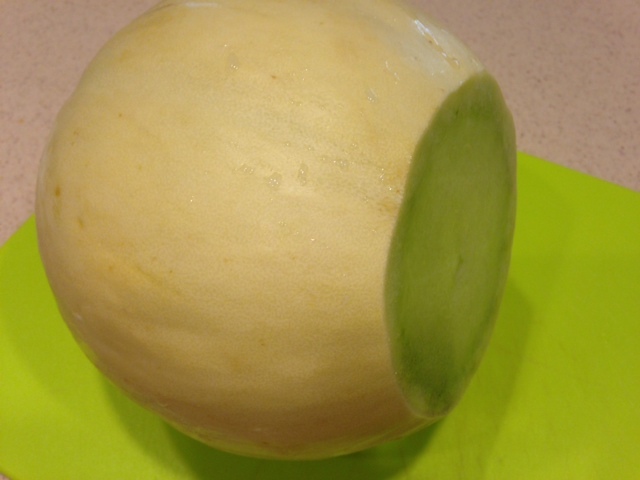 Honeydew Melons, Cantaloupes, and any round fruit is often difficult to cut. Here's an easy way to cut them up quickly, and safely. 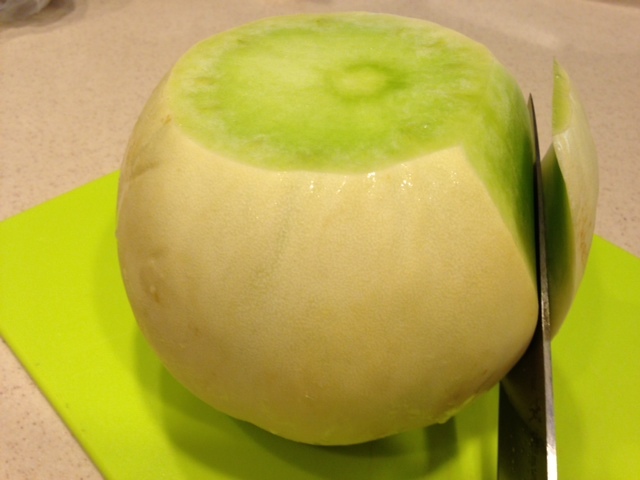 First, cut off the ends of the melon. 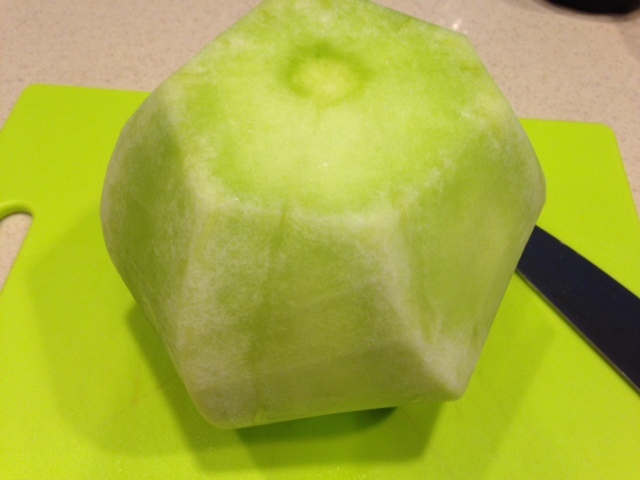 Turn it on its side, using the flat surface to help stabilize the fruit on your cutting board. Moving your knife from top to bottom, cut off the skin. 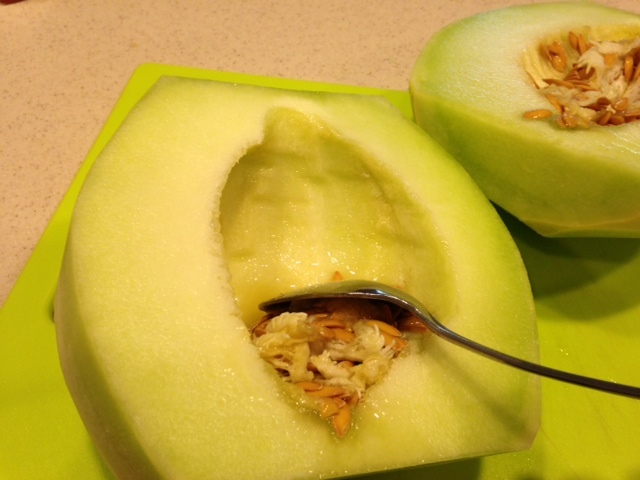 Using a spoon, scrape out the seeds. 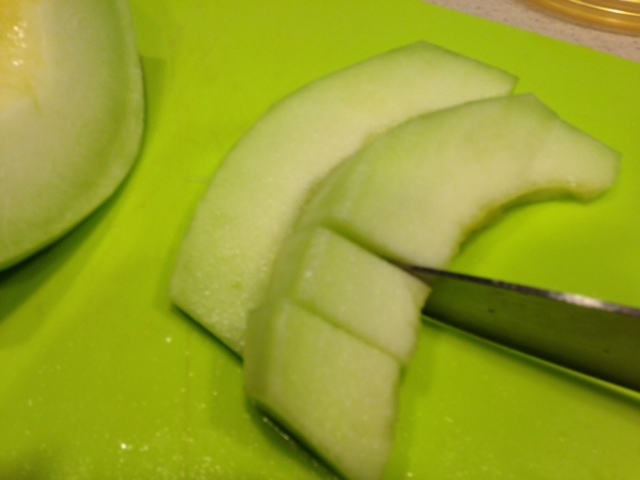 Cut melon into sections, and then into smaller pieces.